Asbestos Removal & Disposal - Why is asbestos inspection and removal a necessity for homeowners? In the last 35 years, over 10,000 Australians have received mesothelioma diagnosis. It is a rare form of cancer that asbestos causes. Australia has the highest death rate from mesothelioma. 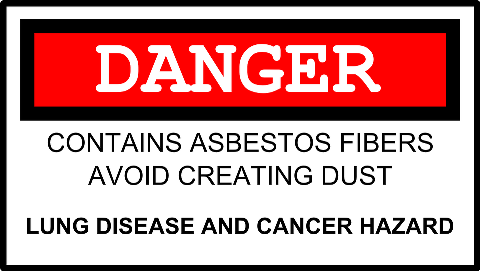 The statistics show that deaths related to asbestos are gradually increasing in the country. Homes from the early 90s contain asbestos in different forms. It is a common element that you will find in old buildings in Queensland. Although Australia has banned the use of asbestos in 2003, there is still enough asbestos in the open to cause deadly forms of lung cancer. Studies show that it has a latency period of 20 to 30 years after exposure before the symptoms show up. Where can you find asbestos in your home? vi. Old fencing, ironing board covers, fireproof gloves, and stovetop covers contain asbestos for heat proofing. While your real estate agent might try to tell you that the asbestos present is not the harmful brittle kind, you must know that all forms are potentially dangerous. The brittle form of asbestos is friable and gets into the air we breathe quite easily. Therefore, if you are doubtful about the integrity of a second-hand property, you should get opinions from asbestos removal services before closing the deal. Getting experts to check out the property in Brisbane will cost you significantly lesser than reselling it or refurbishing the entire house later on. If you currently live in a building with old insulation, water pipes, and fireplaces, you should consult asbestos removal Brisbane immediately. Sadly, there is no place in Australia where you can buy old property confidently, without worrying about the presence of this sneaky killer. It is a carcinogen, and you should never deal with its presence lightly. Identifying asbestos without any formal training is difficult and dangerous. While trying to explore the properties of your water pipe insulation or gasket insulation you will end up exposing yourself to the cancer-causing material. What should you do in case of suspected asbestos presence? Most people come in contact with asbestos while renovating their homes. If you plan to reconstruct parts of your home, you should first speak with reliable asbestos inspection and removal professionals for your safety. The properties of the material call for safety equipment and training, no resident without the knowledge of asbestos removal should take charge of inspection of their properties.